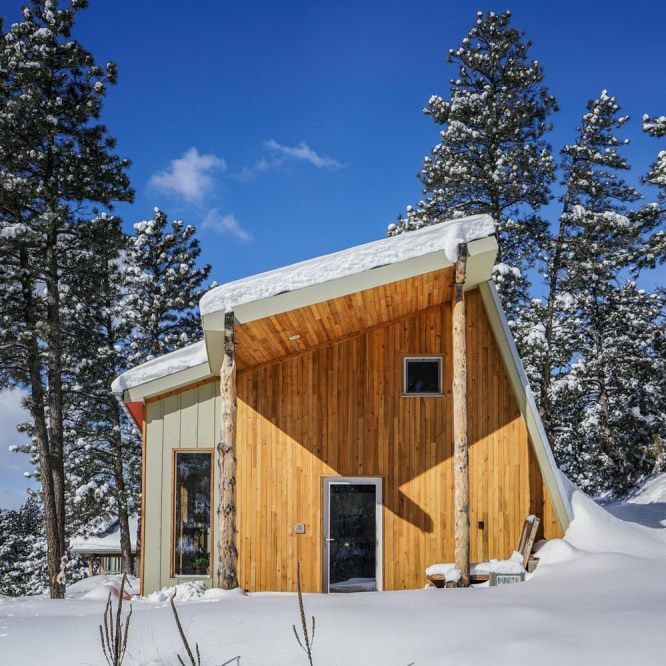 Author and environmental design consultant Andrew Michler explains how research and constraints have shaped his own Passivhaus self build. 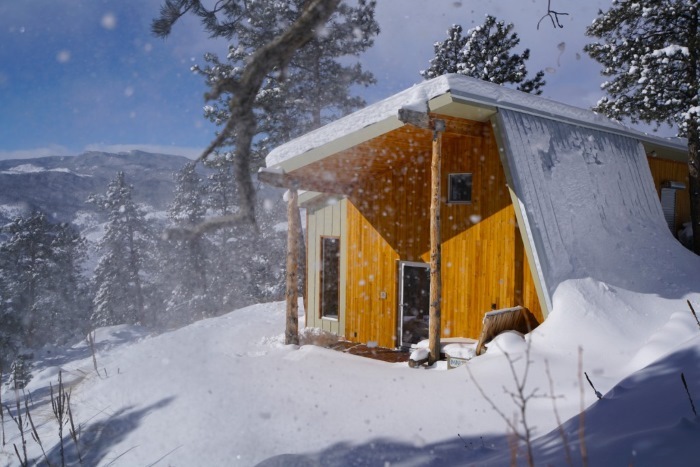 Andrew Michler has been living off grid in the Colorado Rocky Mountains for over 20 years. He has had a long interest in sustainable design and has written various blogs on the subject. 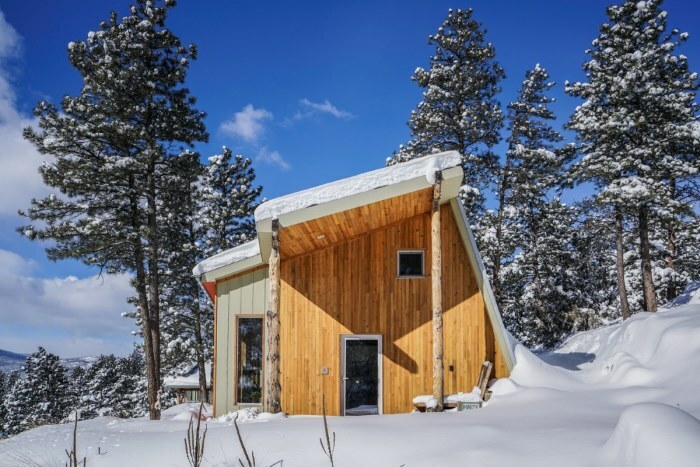 As well as completing his book ‘Hyperlocalization of Architecture', he has also built the first certified Passivhaus in Colorado. As research for his book looking into how contemporary architecture is designed around very deep sustainable goals, Andrew travelled to see various places where it is being done very successfully, including Australia, Japan, Spain and Germany. Andrew gives the example of Japan which has done an incredible job of integrating small house design into a genuine lifestyle. In the US a ‘tiny house' is often on wheels and intended for a back yard or a remote off grid plot, whereas in Japan they are deeply connected to the neighbourhoods, which almost become a living room for the families. Australia was a highlight for Andrew as he felt that, particularly in Melbourne, there were some exciting and progressive ways of approaching design. One Australian outback house that he comments on is a remote cabin which shows how kinetic gestures can be used in architecture. 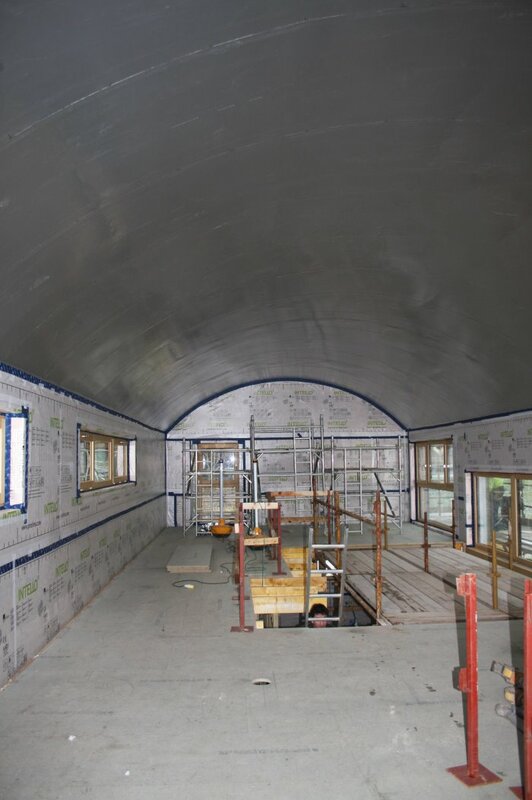 Water is collected from the roof and stored, and it has side panels that lift to allow in light and airflow and can be closed to help protect the building from bush fires. Instead, Andrew believes that the best we can expect is a really good response to the conditions that the building is in. Every building is unique depending on what its needs are. Andrew says that when an architect comes to a project, there will be so many existing conditions that already the solution is three quarters there. 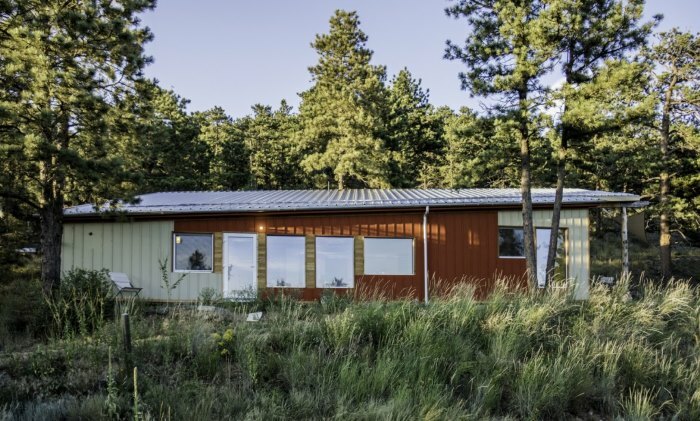 These constraints might be in aspects of how the building is sitting in the land, its orientation to the sun, and the scale and budget of the house. 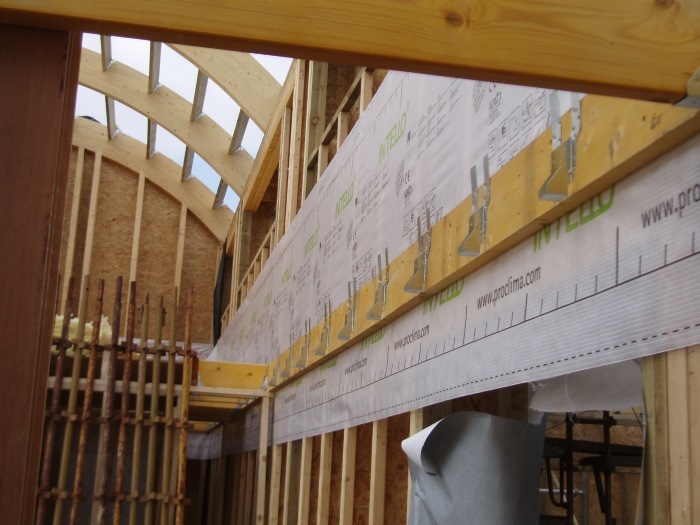 Choosing to go for the Passivhaus standard or using certain materials will also add to the constraints. A good architect will synthesise those constraints and flourish in the conditions. 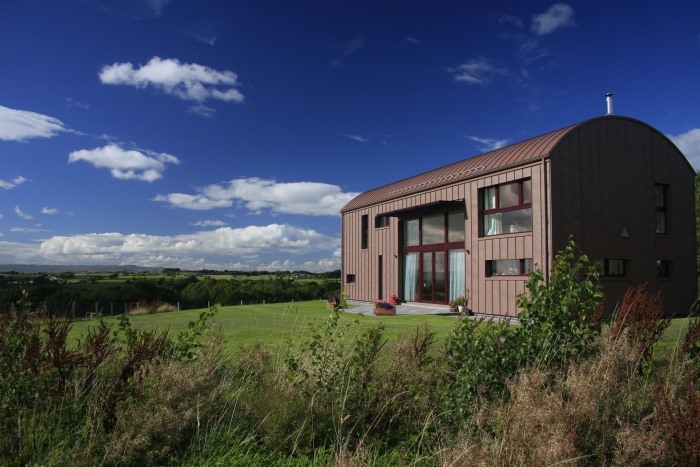 Two architects might have the same conditions to work with, and yet their different insights and personalities will come up with very different solutions, with those solutions still being just as adept at being viable places to live. While the buildings on the outside may look very different, underneath they are still solving the same problems. Andrew believes that when a client has lots of little ideas they can contradict each other and become very expensive and convoluted. However a couple of big ideas can really help to guide the rest of the process. Andrew's decision not to use foam in his own Passivhaus guided many other decisions going forward. Another example he uses is materiality, and the Pacific Northwest which uses a lot of heavy timber. 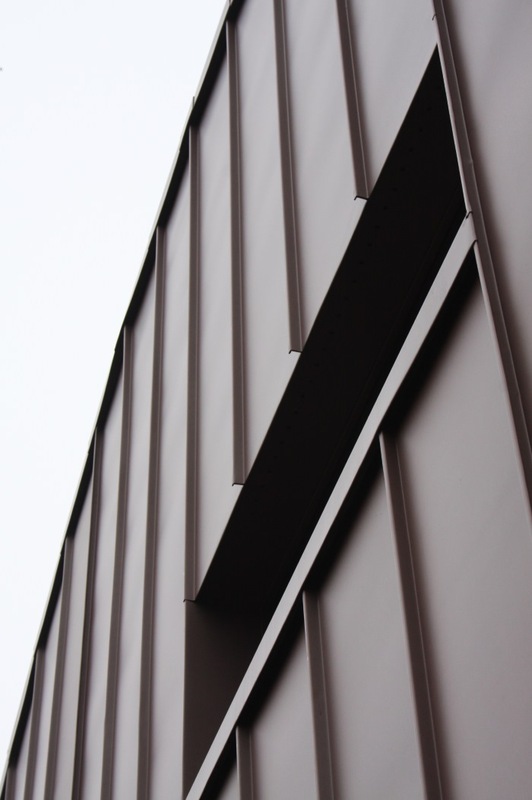 Deciding to use that as the fabric of the building becomes the core driving design element for many other things happening inside the building, such as safety, structure and finishes. 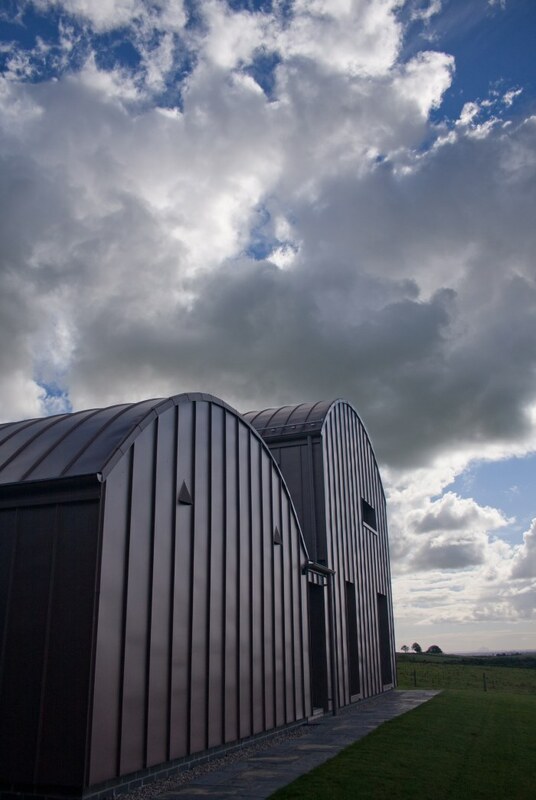 Andrew's first project on his current plot was when he moved into the existing 40m² cabin. 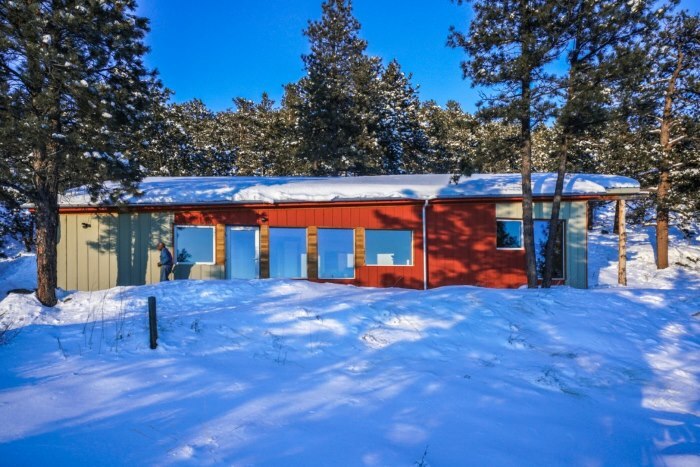 It was off grid and had a compost system that backed up, plumbing that froze and a solar system that failed. 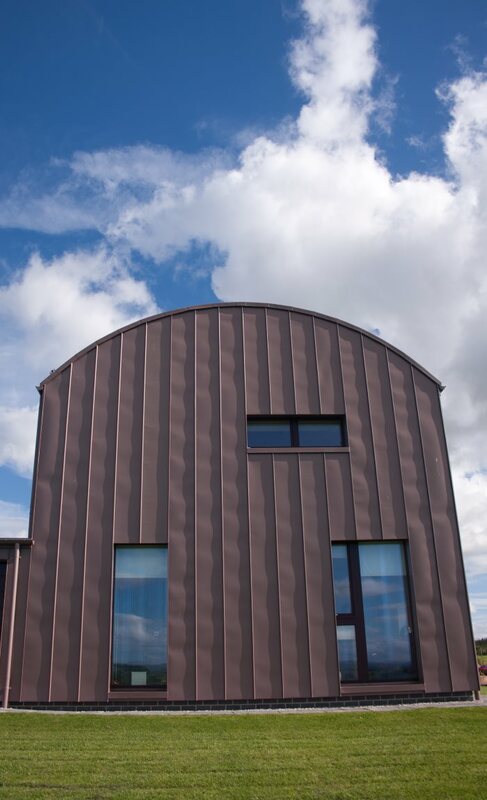 So when he started from scratch with his current project he wanted to take a completely different approach, and Passivhaus was certainly that. Living on the site for so many years gave him a real sense of the land, and his research for the book helped him to understand how to approach the problem of integrating a building elegantly into the space. He credits having had a lot of time to make the decisions with being the reason why he is very happy with what has been achieved. He started the current project around 4 years ago and the building is intended as a guest house for family and friends to stay in. 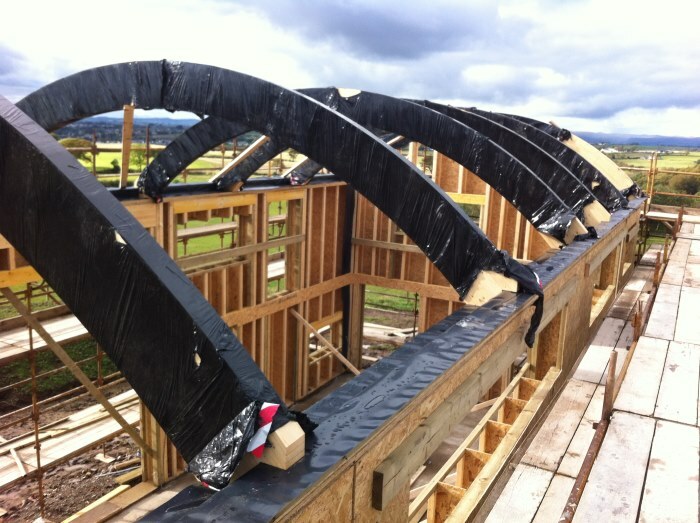 It has a timber frame with cellulose and mineral wool insulation. Using a foundations crawl space meant that he didn't need to use any foams there. The project is a month or so away from being completed, and Andrew admits there is a chance that he may end up living there with his current home next door becoming the guest house instead! Living in the mountains, Andrew couldn't imagine bringing in truckloads of plastics, and explains how he was influenced by the concept of ‘Cradle to Cradle‘, explained in a book by William McDonough and Michael Braungart. The things we consume are usually based on a cradle to grave model, where we take it from the environment, synthesise it, consume it and throw it away. Their concept is that you take a material from its raw form and use it, before it can be reclaimed into two forms. If it's a natural material it can be reinserted into the environment again, or if it's a metal, plastic or other synthetic material, it can be fully recycled and turned into a new product. They also talk about upcycling where you're constantly improving the nature of the materials each time you reuse them. Andrew was inspired by a Japanese spa in Santa Fe where he noticed the buildings were built around the trees. He decided to make his house sit between the trees, which could also provide shading, so that informed the shape of the space. The site is on a slope and has good solar potential. Andrew didn't want a box shape so took a shed type roof and sliced the front 10 degrees which gave him better solar access. 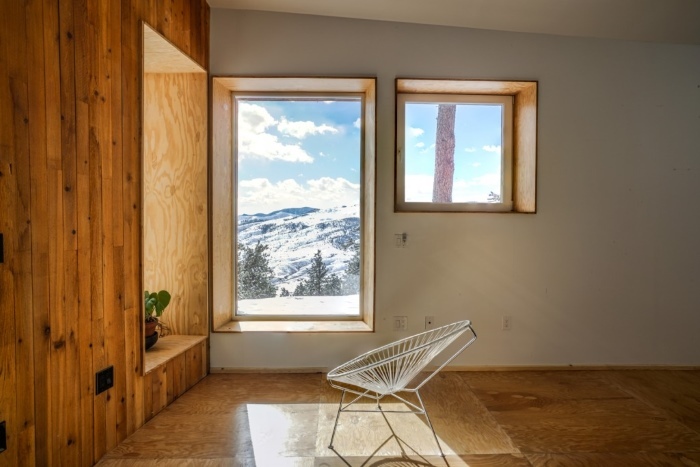 It has a fairly simple form factor with the wedge shape being based on playing with the idea of cabins, and working within the uniquely architectural shaped Hogbacks mountains in the area. 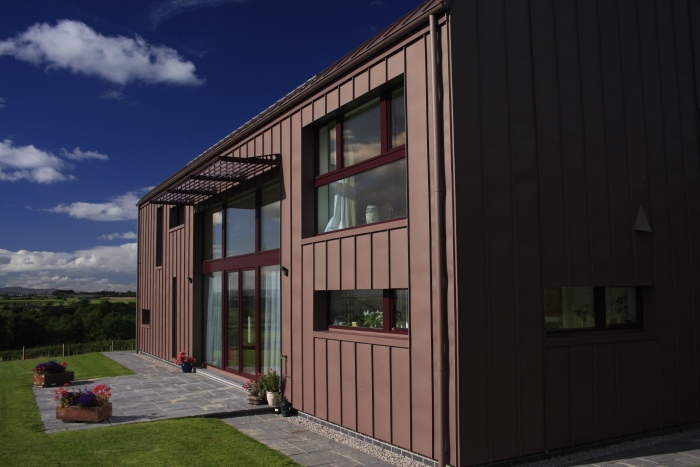 The Passivhaus constraint really helped Andrew to guide the process of the design. Andrew feels that restraints and inspiration can actually mix together. Sometimes you can be pushing the design to places where it doesn't seem to naturally go, and that's when you find out that your restraints aren't working for you. Those restraints can actually be a way of signalling to you whether the building is being properly designed or not. Download the transcript of the interview with Andrew Michler. The introductory price of £45 for full access to The Hub will soon be ending. On 30th April it will increase to our standard price of £99 for the year. The price you pay when you join will be the same each year you choose to renew your subscription, so make sure you don't miss out on the discount! In case you're not familiar with The Hub, we're building up a library of knowledge, advice, videos and case studies to help anyone who is interested in building their own home. We're adding new modules every month to take you through the steps involved. As well as all this valuable information there is also a community element, with access to a Facebook group for members where we're sharing ideas and research, offering encouragement and learning from one another's experiences. So if you're wondering whether to join, check out our free module on Finding Land to give you an idea of what we are offering.